Koehring "Waterous"? Timberjack & Koehring relationship? A couple of days ago, I went to a car boot sale. This isn't something I normally do but since there wasn't much else going on...blahblah, etc. Anyway I came across a few parts and operation manuals for some logging machines, and one was a "Koehring Waterous K3F forwarder". The guy selling them knew nothing about the machinery, having inherited them from an uncle who brought a whole load of such things back from Canada. No I am semi familiar with Koehring and its products. But this Waterous is a new one on me, although there are plenty of TimberJack product brochures kicking around. So was this a partial merger between Koehring and TimberJack? How long did it last and what happened afterwards? Re: Koehring "Waterous"? Timberjack & Koehring relationship? I dont suppose you would know if he still has the K3FF manual eh? I operate the "Koehring Waterous Forestry Equipment" page on facebook and I collect that kind of stuff. the waterous brand was purchased in the '50s (I think) and was run out of Brantford, Ontario here in Canada. Timberjack bought the brand in about 1983. The Waterous division produced some of the largest logging machines in the world. There Was nothing available online until a couple years ago, when I started finding some of the old waterous stuff and posting online. Just do a search for"Koehring Waterous" on youtube and you will find some of the videos I posted. "In my experience overkill is underrated." 1999 379 Detroit series 60 430 hp, 13 spd 40k lb 3.90 rears. Jr-transport wrote: I dont suppose you would know if he still has the K3FF manual eh? I operate the "Koehring Waterous Forestry Equipment" page on facebook and I collect that kind of stuff. Thanks for filling me in on the history of the "Waterous" range of machines. I do believe I've seen at least some of the associated videos on youtube covering these vehicles. That's about as close as I'll ever get to see something so special working in its environment. I will ask about the manual and see if he still has it. I'm hoping for a few more brochures covering the older Cat-built 200-series forwarders/delimbers/feller bunchers/etc. Sounds good. Tell him id be more than happy to buy it from him. Would be a great addition to our downloads-section! Jr-transport wrote: Sounds good. Tell him id be more than happy to buy it from him. I spoke with him yesterday briefly after a chance meeting after work. The brochures and manuals for the Koehring Waterous equipment were bought up and he doesn't think there's much if any left at all. It would appear alot of the literature was logging based, be it trucks, forwarders or feller bunchers. Sorry that I can't help you with this matter. Well that's sad to hear, but thank you very much for trying! I really appreciate it. If anybody stumble across any of this Koehring Waterous stuff, please lmk. It is hard to find and I've been trying to track down as muchof it as possible. I created a CD/DVD set and have had some success selling it. I have sold several copies here in Canada, and have sent them as far as Sweden and South Africa. But nearly all the stuff I have on it is available for free b/c I have posted in several places YouTube (JRtransport379), Flickr (The Koehring Guy) etc. I have several brochures and many rare documents that I have posted if there's a way I could make them available to this community little easier please let me know. 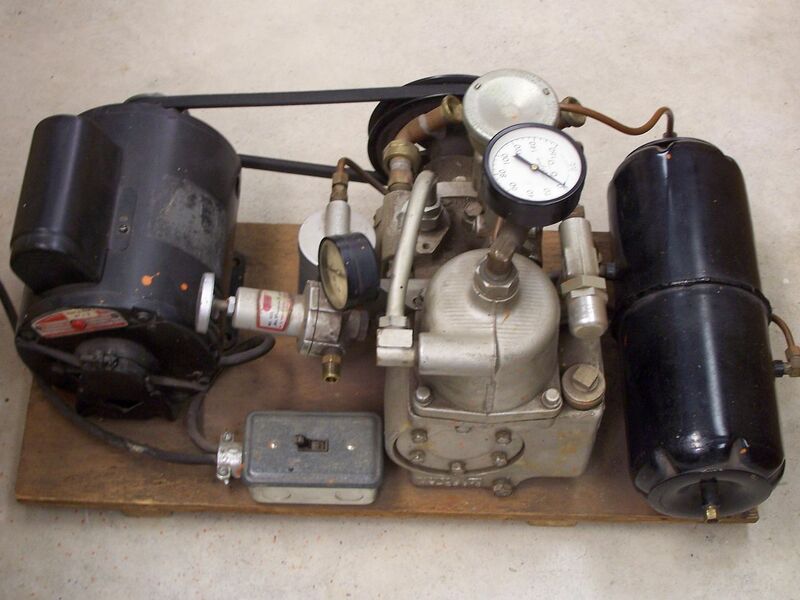 Hi, I just recently joined here after a fruitless on-line search for information on a part which may have been used on a Koehring-Waterous Tree Harvester or similar machine produced by K-W.
My late father worked at Koehring-Waterous in Brantford, Ontario, and I inherited a small compressor from him which he built from parts obtained from K-W. 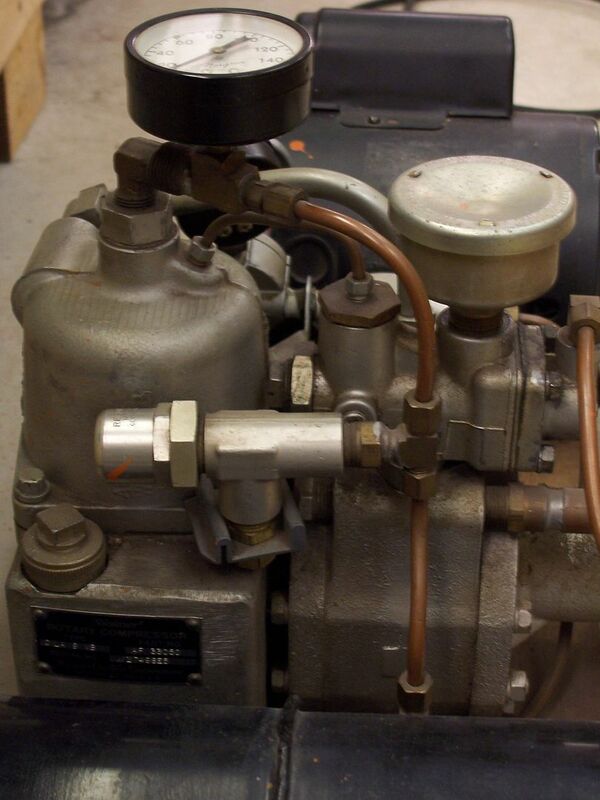 The heart of the set-up is a Wagner Electric rotary compressor, powered by a separate 3/4HP electric motor. There's a fair bit of plumbing connected, including a small tank which appears to be partially filled with liquid. I am fairly certain that it's not for compressed air storage, though, as this type of compressor does not require such because of its continuous rather than pulsing output. The liquid isn't water: otherwise it would have been frozen solid, since it's stored and used in my unheated garage, and there is no bleeder/drain valve as would be needed for an air tank. I use this compressor to run an airbrush (my hobby is model trains) and it's worked flawlessly for the almost 20 years that it's been in my possession. 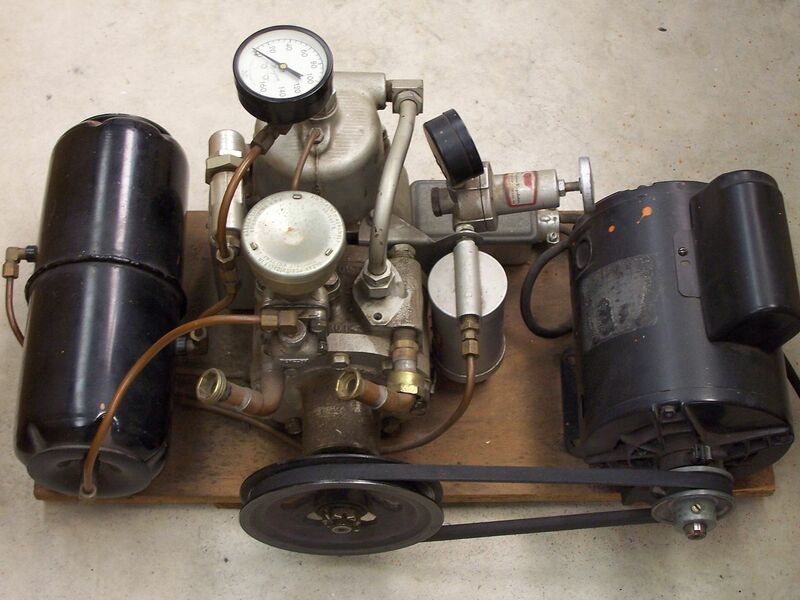 Just wondering if anybody would have any info on this type of compressor and any idea about the purpose of the tank - it looks to me like it's been made from two of the housings used on household refrigerator compressors, with their bottom edges simply welded together. There's a brass fitting on each end of the tank (as would have been used for refrigerant) but they're sealed, and there are two runs of tubing, one from the compressor's output to the tank and another from the tank to the regulator. I did do a search for Wagner Electric and finally tracked their current corporate history to Federal Mogul. 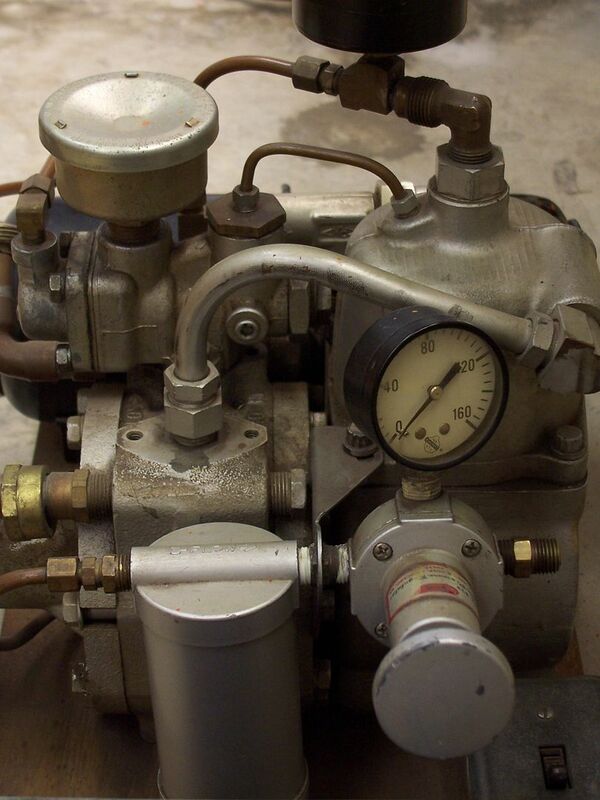 However, a 'phone call to their Technical Service line indicated that they no longer manufacture these compressors nor do they have any knowledge of them or their operation. 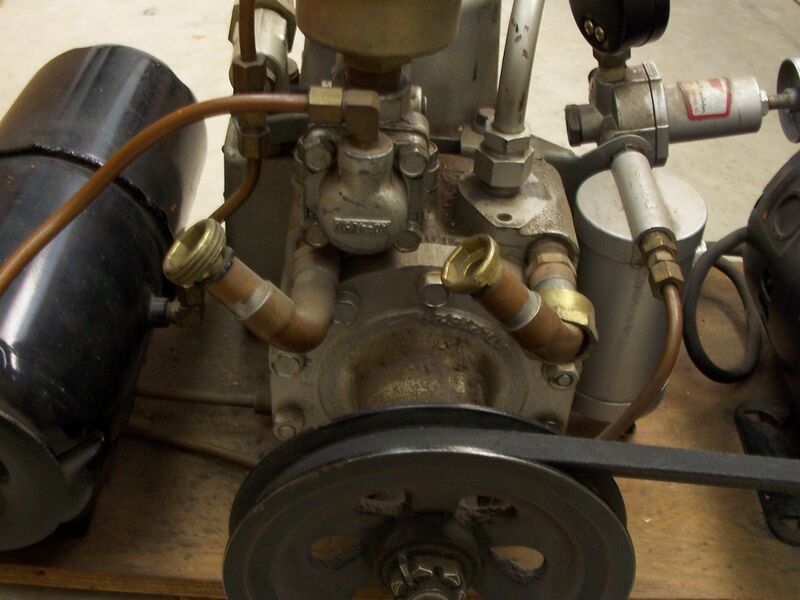 I also found that rotary compressors can be either vane- or screw-type, and found a diagram of another manufacturer's screw-type which utilises oil and includes an oil separator tank. This is what I suspect is on mine, and I'm trying to determine if there's any service required. There is a sump on the compressor itself, and the oil level has not varied in all the time I've owned it. I can post some pictures of the set-up, if needed.